Mas Aurélia - Guest houses and Flats on the French Riviera for your holidays in the Var 83. Fréjus on the N7 and the A8, or by seaside between Saint Tropez and Cannes. Former military port, and Roman city, Fréjus looks down on the rich alluvial plains which separate the Estérel from the “Massif des Maures”. Half way between Cannes and Saint Tropez, this city of art and culture constitutes a rich historical and architectural heritage. And this has been since the presence of Roman legions after the foundation of the city in 49 by Julius Caesar himself, she was then called Forum Julii (Julius’ market ), to the Marine troops who are still today welcome in Fréjus. The city is strewn with monuments, one of them being one of the biggest amphitheatre of Gaul (Ist or II), the Roman theatre, the golden door (vestige of thermae from the III), the lantern of August (vestige of the old Roman port), the door of the Gauls or the aqueduct which brought water from the Siagnole (of Mons!) over 40kms, the Cocteau chapel (designed by J. Cocteau in 1961 and achieved by E. Dermit in 1965). 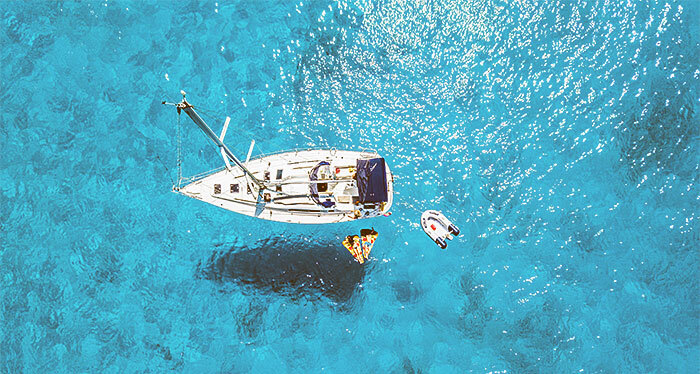 Port-Fréjus, smart and modern marina, has equipment and professional facilities: shiphandler, sailboat or motorboat hire, shipyard. A real starting point to discover another Provence, the sea side! 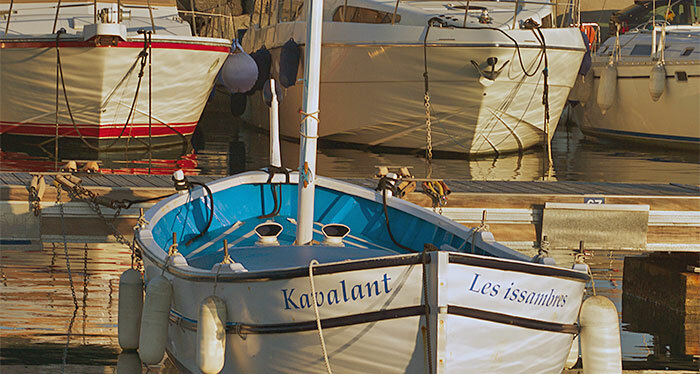 Every nautical pleasure can be shared in Fréjus : swimming in the sea or swimming-pool, fishing, costal navigation especially the creeks, scuba diving, Provencal contests, surfboarding, jet-skiing, parasailing, kite surfing, surfing, kayak, sailing...Regattas, deep-sea races, boat show, sea care, thalassotherapy...complete this sports and well-being offer all year round. 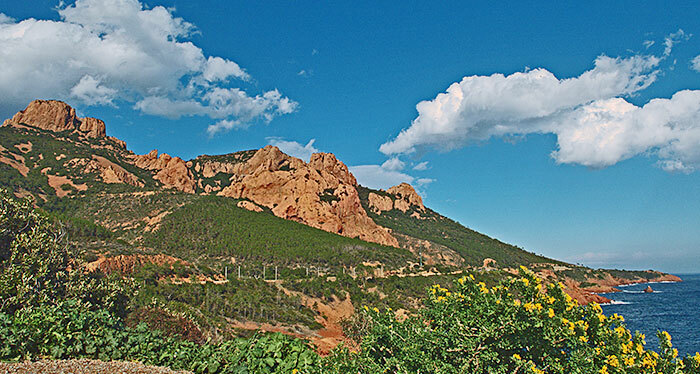 Fréjus has a remarkable coast with its rocky inlets which goes along the « Sentier des Douaniers » and the 8km equipped beaches. To ensure optimal cleanliness of its coast, the city of Fréjus plans, from May to October, the cleaning of the beaches. Coastal bathing waters are analysed.